Wishes he had caught this one. 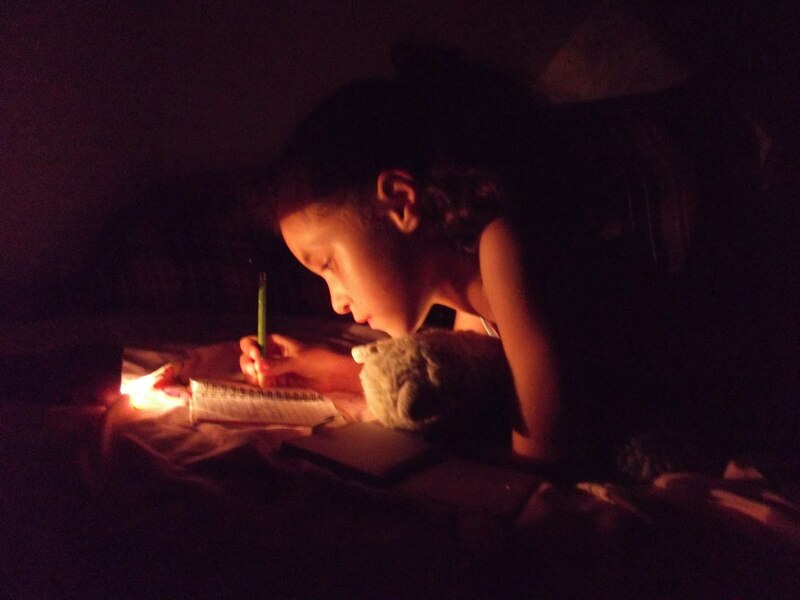 My brilliant , beautiful niece, journaling with he stuffed cat, during a June blackout. breakfast of the year, the very last of the strawberries, the first of the blueberries and lots of raspberries - all in the yard.